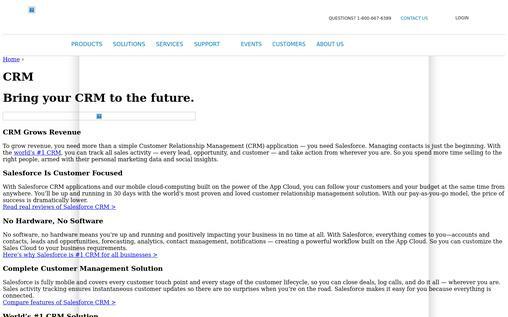 Are you looking for some of the best customer relationship management software? Most companies today are aiming towards establishing good customer relationship management (CRM) strategies and techniques in order to maintain better customer relationships, improve sales and increase customer retention. With a good CRM system in place, companies can maintain a detailed record of all customer data and that too across various channels. In order to achieve this end, most companies today are choosing good CRM software. A CRM software simplifies the entire process of establishing a good customer relationship management. 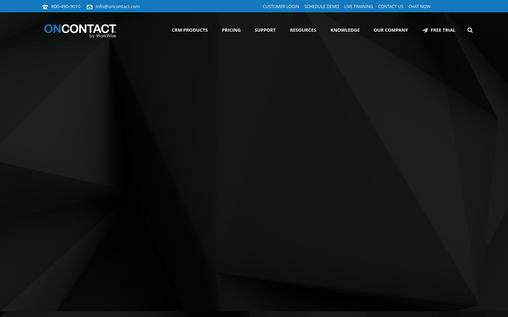 It compiles all customer information and maintains it in a single database. Thus all information becomes easily accessible and this facilitates better management. There are various CRM software available today. 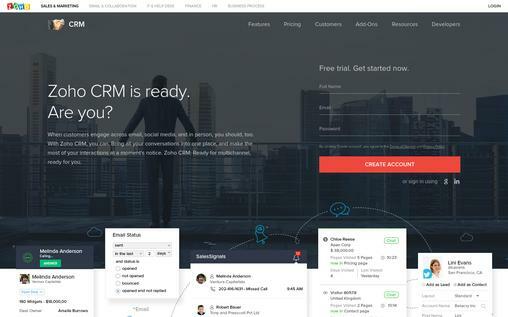 We have for you here a detailed guide to the 10 best CRM software to help you choose the right software for your company. 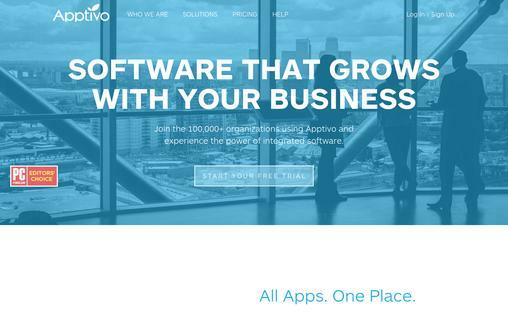 Apptivo is a trusted CRM management software brand which was first launched in 2009 and has since then expanded by leaps and bounds. This is a top quality software which provides completely customisable apps which companies are able to use with ease while communicating with customers. The apps are also very flexible and are sure to provide users with the utmost satisfaction. Enhance your sales figures by using the sales pipeline feature to view all prospective deals. Use the amazing conversion system to convert all your prospective deals to invoices, projects, quotes and much more. Easily integrate the software with WordPress or the API of the developer and enhance your sales tracking and also capture more leads. The software also features a mobile app integration with which you can manage everything through your smartphone. All the apps are fully customizable. You can store as much data you want using the efficient customer and contact management. 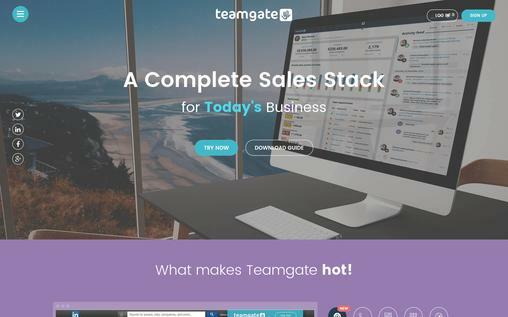 Teamgate is an excellent CRM software which is being used by more and more companies for effective customer relationship management. Managing your sales has become easier using the great tools of this software. The software is easy to use and offers great flexibility as well. The software has an effective lead management system which enables you to convert leads into deals easily. Maintain a record of all your customer data and communication history with great ease. Manage all your sales using the great features of the sales pipeline. Schedule all your meetings and activities using the effective time management feature of the software. Use the product catalogue to describe your products in detail and maximize sales. The excellent reporting system enables you to get a clear picture of your entire sales process. Use SmartDialer to make calls directly from within the software. The software also features a number of integrations. 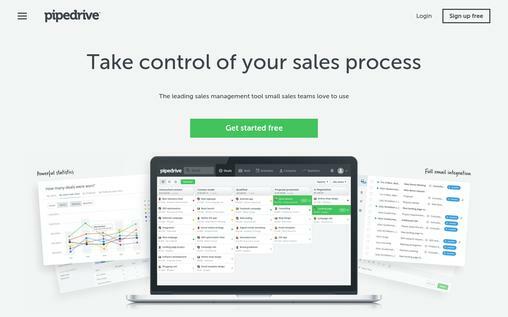 Pipedrive is an excellent CRM management software which helps you organize your entire sales process with great ease. It is extremely easy to use software which is completely customizable. The sales pipeline feature proves extremely beneficial where you can view your entire sales procedure. Other great features like activity reminders are also very helpful. The pipeline view and great reporting system give you a great insight into your business. Notifications feature will ensure that all deals are looked into and nothing is left behind. The email sync feature saves a lot of your time. Software features mobile apps integration. Use the custom web forms to contact customers easily. Ensure complete safety against errors using the import-export feature. The software guarantees complete security. Customise your sales pipeline and plan the future deals to maximize sales. 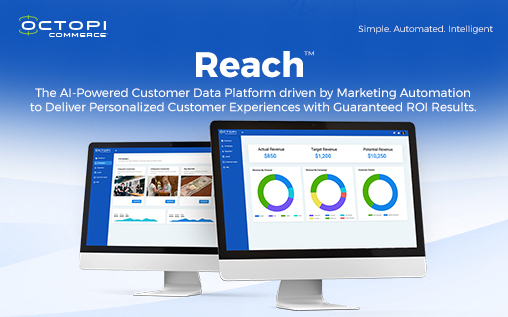 “Reach” is an AI-powered POS customer data platform, with integrated marketing automated tools, that calculates and delivers optimal marketing and personalized customer acquisition, retention and engagement results. It delivers everything you need to “Reach” your customers with meaningful and personalized offers, real-time results measurement and optimal budget spend and decision making recommendations, last-minute appointment bookings with yield management, and critical actionable data insights for ever-increasing ROI. Dynamic, optimized and automated campaigns leading to the right offer, to the right person, at the right time and in the right place. Scheduling and re-scheduling of hard-to-fill appointments. Online booking interface for increased customer retention. Proactively manage negative reviews and re-post positive reviews in a simple and intuitive interface. Intelligently boost in-store selling efforts based on customer feedback. Managing your sales, enhancing the sales figures and promoting the growth of your business has all been made a lot easier by the great CRM software called Base. 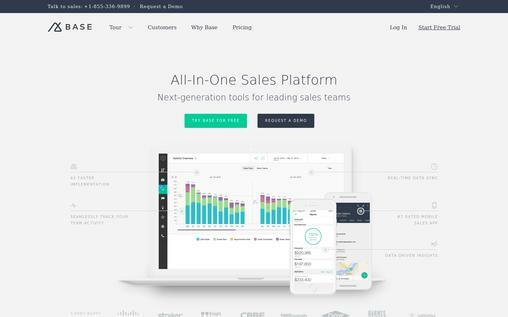 This software offers great features like real-time data sync and mobile app integration which helps you manage your entire sales process seamlessly. This, in turn, helps you build long-lasting customer relationships. The excellent lead management tools help you transform the leads into sales easily. Easily manage your sales process with the sales pipeline. Easy communication with your customers keeps them happy and satisfied. The mobile sales application with a host of great features makes managing sales a lot easier. Base captures all your team’s phones and emails automatically. Scoring of the best leads and opportunities enables you to deal with the best opportunities first. The excellent reporting and analytics system tracks all customer data and helps you get clear insights. Automatic tracking enables you to get complete and accurate data. The Zoho CRM software is being trusted by more and more companies today because of its excellent features, great service and the ease with which it enables you to communicate with your customers across multiple channels. This excellent software offers you a very clear understanding of the functioning of your business and also provides effective solutions to improve your overall sales and build lasting customer relationships. The Zoho CRM offers complete multichannel support. Analyse your entire sales performance using the pre-built KPI’s. They are also fully customisable. Use the various automation, workflows and advanced reporting features to improve the overall sales productivity. Use the mobile edition of Zoho and communicate with customers on the go. All the apps, modules, fields and features of the software are fully customisable. The software offers complete security. The excellent sales force automation feature enables you to capture leads directly from the website. 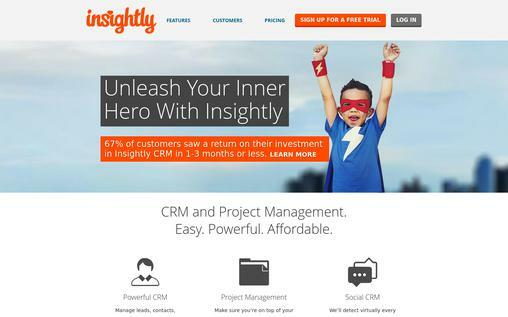 Insightly is a top quality CRM software with advanced features. The software is easy to use as well. This powerful software enables you to manage all your contacts, capture leads and manage all your projects effectively. It has a host of other great features which will help you to promote sales and communicate with customers seamlessly. Make use of the powerful lead and contact management system to capture leads and manage contacts. The advanced project management feature gives you the project overview screen which enables you to manage projects efficiently. Get a clear view of all your sales opportunities and manage sales easily. The software also features an advanced reporting system. The software offers complete social media integration. Use the Insightly mobile app to manage all your customers while on the go. The software is well integrated with Google apps, email, Office 365 and much more. 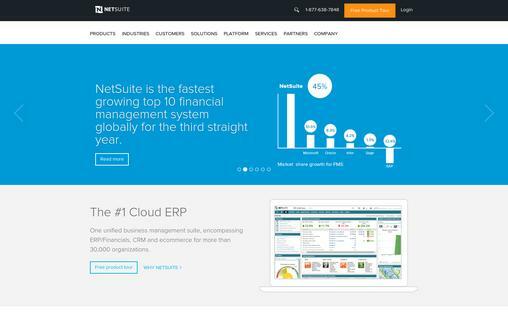 Netsuite is one of the leading CRM software which gives you a complete view of your customers and provides you with all the customer information which you want. The excellent features of this software enable you to enhance your sales, gain more customers and provide better service to your customers. You can manage your customer cases across multiple channels. The software allows you to provide personalized service to all your customers. Easily track all the information you need by arranging and publishing all customer information seamlessly. Use the “time to track” feature to keep a track on the time you spend handling each customer case. Provide efficient service to customers using the powerful knowledge base. With mobile integration, you can access all customer data at any time and at any place. Salesforce is a premier CRM software which offers you much more than just a software to manage customer data. With this software in place you are sure to easily capture leads, track opportunities, maintain all customer information and enhance sales figures. The software is empowered with App Cloud using which you can handle customer data from any place and at any time. Sales Cloud is fully customizable. The excellent reporting system provides powerful forecasting and analytics. Make use of the efficient contact management to manage contacts and capture leads effectively. The software features complete mobile integration. Use the sales activity tracking feature to remain updated about all the customer deals. OroCRM is a trusted CRM software which gives you an integrated view of all your customers. The excellent features of this software enable you to remain updated about every aspect of your customers. Thus you get comprehensive customer information right from the point of pre-sales and marketing to the time you finally close a deal. The excellent contact management feature enables you to view and manage all your contact information in one place. Make use of the advanced leads and opportunities tools to understand opportunities and convert them into leads. Capture every aspect of the interaction of your customers with the 360 ⁰ customer view this software offers. The sales and marketing performance dashboard gives you a clear and comprehensive understanding of your business and KPI’s. Make use of the excellent reporting system of this software to get a clear picture of your business performance. The RFM analysis feature enables you to recognize who your top customers are. Create multiple workflows to manage sales processes effectively. The software offers email and Google hangout integration. You can integrate with eCommerce platforms, marketing tools and customer service systems with this software. OnContact is a top quality CRM software using which you will be able to easily manage all your customer deals and handle sales with ease. This software comes with a set of excellent features which are loved by all users. This great software offers both the cloud and on-premise software and you can choose either according to your needs. This easy to use software features integration with QuickBooks. Software offers both CRM and marketing automation. The excellent sales automation feature of Oncontact guides you through the entire sales procedure. Create great marketing campaigns and make a thorough analysis of all your marketing plans using the excellent marketing management feature the software offers. Automate workflows, capture leads and track visitors using the marketing automation feature. The software offers mobile app integration to help you work while on the go. Use the contact centre feature to easily manage all your contacts and any prospective communication with them. CRM software is being increasingly used by companies today. This software enables you to manage all customer data and sales with ease. 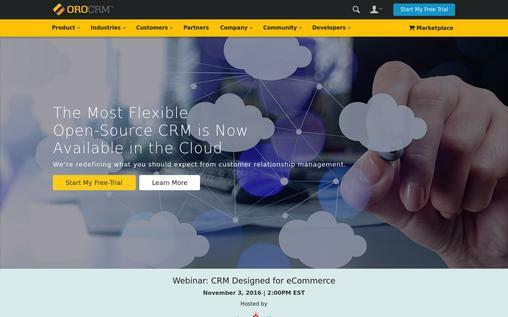 This guide to the ten best CRM software will surely enable you to make the right choice. All these software have excellent features and function well. The use of the appropriate software will surely enable you to enhance sales and build great customer relationships.